Bridging the richness of American Indian cultures with the strengths of Carolina's research, education and service. The UNC American Indian Center is excited to announce our move to a brand new location on the edge of campus! 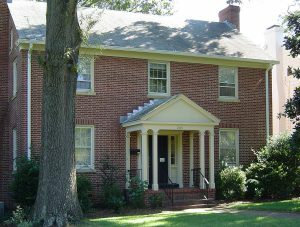 We are located at 205 Wilson Street, across from Carolina Campus Community Garden. Come visit our beautiful and spacious new location! Walking Directions: From the old AIC, make a left on W. Columbia Street, a right onto W. Cameron Avenue, and a left onto Wilson Street. We are the second house on the left. By Bus: Closest stops are Pittsboro Street at Newman Center bus stop & W. Cameron Avenue at Granville Towers bus stop. Walk through the parking lot behind the Newman Catholic Student Center Parish (across the street from Carolina Inn) to get to Wilson Street. Visitor Parking: Limited visitor permits are available by request. To ensure availability, please contact the AIC prior to your arrival (919-843-4189). **Unauthorized vehicles will be asked to move. 8am – 5pm: When visitor parking is not available, the nearest parking the Mallette Street Lot. Visit Park on the Hill for additional parking options. After 5pm: Nash Parking Lot (next to the new AIC) is available for anyone to park without a permit and is accessible through Wilson Street.